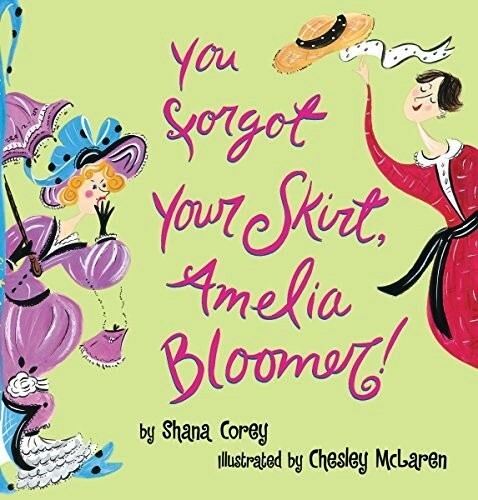 Amelia Bloomer, a rebellious reformer and early women's rights activist, popularized bloomers (baggy pantaloons worn with a short skirt over them), thus liberating women from the dangerous and oppressive clothing of the mid-nineteenth century. Here is her story, told in buoyant, witty text and beautiful, high styled-illustrations. For more stories about those who fought for women's right to vote, visit A Mighty Girl's Women's Suffrage section. 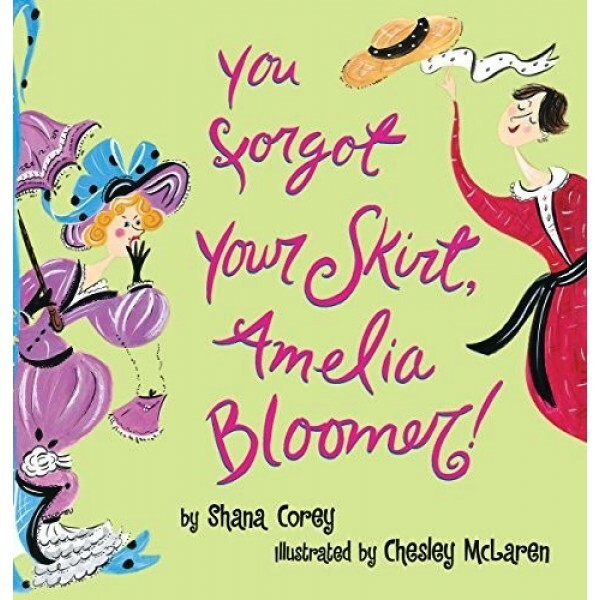 Amelia Bloomer is not a proper lady. She thinks proper ladies of the 19th century are silly. They're not allowed to vote, not supposed to work, and all that fuss about clothes! Ridiculously wide hoop skirts, yards and yards of hot petticoats, and cruelly tight corsets supported by whalebone or steel made women faint at the drop of the hat: "What was proper about that?" So Amelia, being so very improper, sets out to revolutionize the world for women. Not only does she start her own newspaper and try to change the voting laws, she also popularizes a new fashion. This bold new garb shocks the proper ladies, but frees all others to move, digest, breathe, and think about something other than keeping from fainting (such as voting and working). Named for their best spokesperson, bloomers marked the start of a kinder, gentler approach to women's fashion--and women's rights.